In the Bioproducts, Sciences and Engineering Laboratory on the WSU Tri-Cities campus, PNNL and WSU use advanced biological and chemical research laboratories and equipment for developing technologies and processes to produce fuels and chemicals. 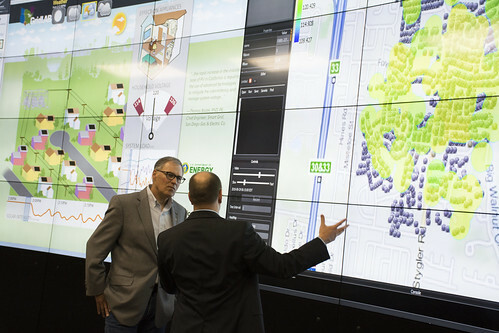 PNNL's Electricity Infrastructure Operations Center brings together industry-leading software, real-time grid data, and advanced computation into two fully capable control rooms. It's just one of the specialized facilities that will be used as part of the WSU-PNNL Advanced Grid Institute. As part of its nuclear science program, WSU operates a 1-million-watt TRIGA nuclear reactor on its Pullman campus. It's just one of the specialized facilities that will be used as part of the WSU-PNNL Nuclear Science & Technology Institute. RICHLAND, Wash. — Embracing the 'power of partnerships,' the Department of Energy's Pacific Northwest National Laboratory and Washington State University today announced the formation of the WSU-PNNL Institutes — a collection of three joint institutes that will advance discoveries and innovation in nuclear science and technology, advanced grid, and bioproducts. In a ceremony at WSU Tri-Cities, located in Richland near PNNL's research campus, that included U.S. Sen. Maria Cantwell, institute leaders noted that these areas are critical for the nation and the Northwest and solutions to major challenges are possible with these two institutions coming together. "These are areas where we know we can make a difference," said PNNL Director Steven Ashby. "We have complementary expertise and resources that are now united under one vision to develop solutions to significant problems facing our nation and the world. The institutes also will provide wonderful opportunities for students, serving to engage and inspire our future scientists and engineers and equip them with the skills required to tackle tomorrow's greatest challenges." 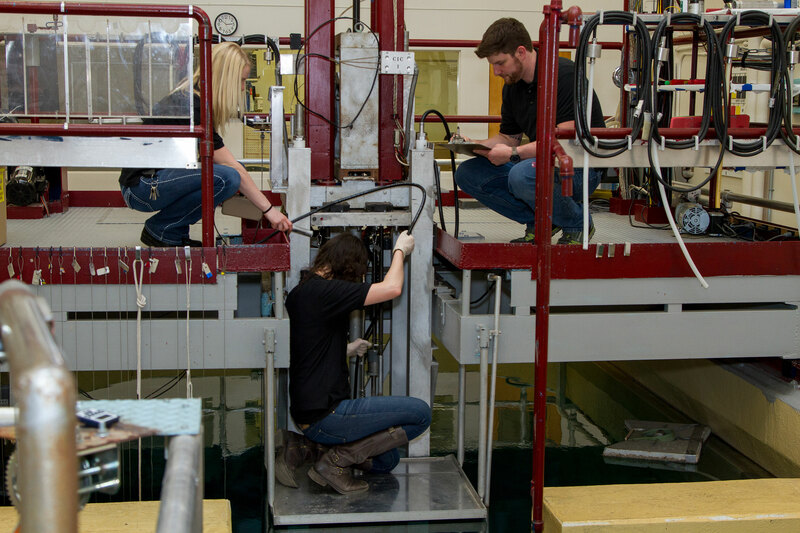 WSU and PNNL have a long history of collaborating on individual research projects, as well as providing hands-on educational experiences that lead to career opportunities. In addition, there are joint appointments where WSU faculty perform research at the lab and PNNL researchers teach and research at WSU. The formation of the institutes expands this collaboration and sets the stage for long term impact. "We're delighted to strengthen our partnership with PNNL," said WSU President Kirk Schulz. "Combining the expertise of our two organizations multiplies STEM-based learning and research opportunities in areas like technology, sustainability, and energy security. In the big picture, the residents of the region and state win — this partnership will lead to new discoveries, enhance quality of life, and bolster the regional and state economy. For WSU, this agreement is also another milestone in our ongoing efforts to create new innovative, entrepreneurial collaborations. Doing so is vital to the success of our initiative to become one of the nation's top 25 public research universities." National lab and university officials say these institutes will accelerate scientific and technological progress to find solutions to scientific challenges that neither partner can address alone or easily. Understand and control how materials evolve in radiation environments — to prevent the use of illicit nuclear materials, resolve issues in nuclear waste management, and advance next-generation nuclear energy. Create and implement a national-scale simulation platform and data framework to enable advanced grid controls and operations for complex power systems of the future. Leverage cutting edge science, engineering, and analysis to transform engineered plants and industrial, agricultural and municipal waste into valuable materials and chemicals. The institute offers participants access to some of the world's most advanced analytical and characterization instrumentation. Researchers, faculty, and students will be able to access each other's unique expertise, specialized facilities, and state-of-the-art instrumentation to maximize scientific impact. Washington State University is a public research university committed to its land-grant mission to provide academics, research and service relevant to the 21st century. WSU inspires and challenge the next generation of problem solvers with faculty that encourage discovery and spark creativity among civic-minded students. 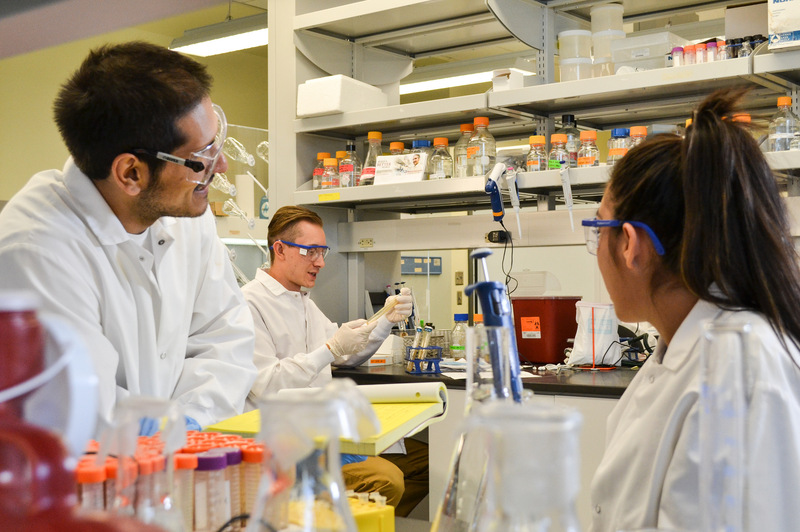 As a leading federal research university, rated in the top 11% of research institutions nationally, WSU drives practical research and education into our communities to support and grow the state's economy. WSU has campuses in Pullman, Spokane, Tri-Cities, Vancouver and Everett, as well as online through the Global Campus, four research centers, and Extension services in all 39 counties.